I have had Lyme disease 5 times and presently think I have it again. The first time I was so sick I couldn't walk but my first symptoms were that of an allergic reaction. I had over 75 spots over my body not that of a bullseye. In fact I have never had a bullseye rash on me and only a couple times found a tick before I became sick. I was and am lucky my doctor is great and listens to my symptoms. Too many disregard them and it can be very serious if not treated. For several years, I have been working in the woods taking care of hiking trails. My first -- and as far as I know my only -- tick bite came from moving some rocks without wearing gloves. Several days later, I noticed a red rash near my wristwatch and thought it was an insect bite; there was no "bull's eye" in a white circle inside a red circle -- it was a fully red area about 1 inch in diameter. A few days later, I felt weak and tired, and decided to seek medical attention at the local hospital. 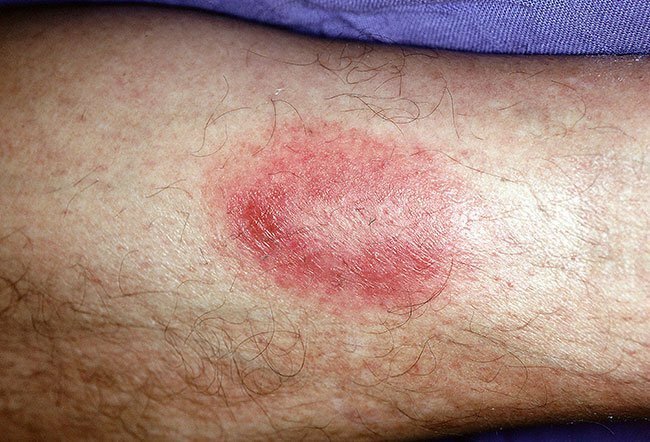 Two nurses looked at the red area and both of them thought it was a Lyme tick infection; the doctor did not agree since there was no typical "bull's eye." A blood test confirmed Lyme disease; the doctor was wrong. Not all Lyme disease shows up as a "bull's eye."